Introducing Power Barre, the best of Yoga and Pilates... with a twist of Ballet! 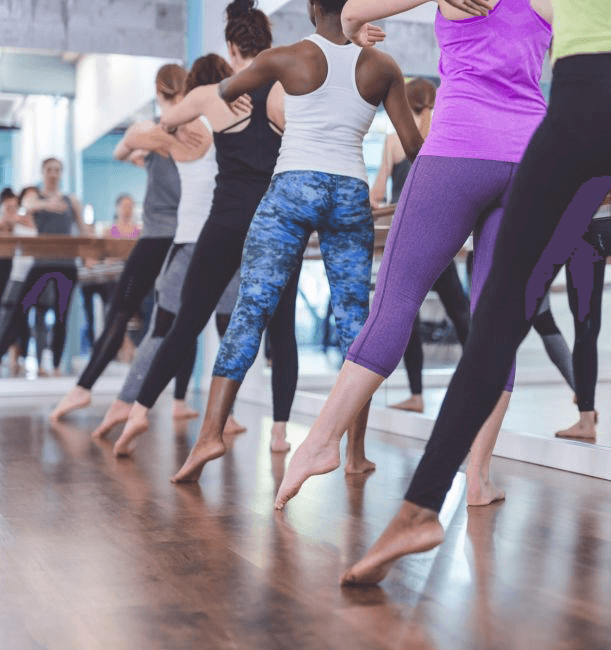 3 Begin Power Barre Classes! Because of the movements involved, Power Barre is perfect for toning and defining the body’s musculature. Our non-impact workout uses both the ballet barre and the mat, and targets all major muscle groups. The result is the recognizable Barre body, featuring sculpted arms, flat abs, a lifted seat, and elongated thighs. It can also improve one’s balance, flexibility and coordination. Power Barre classes are designed to tone and define. Classes utilize exercise equipment, as well as your own body weight. You'll improve your mental and physical strength. Power Barre helps improve coordination and is an excellent form of exercise. Our Power Barre classes' primary goal is to make sure our students have fun in an enjoyable, safe environment. Come and see a class for yourself - we all have a blast and our instructors do too. Do I Need to Have Previous Experience or Any Particular Fitness Level to Enroll in Power Barre Classes?